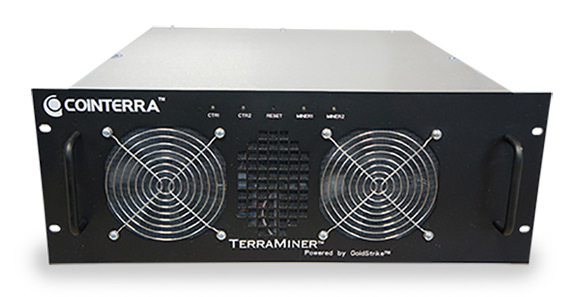 The Bitcoin ASIC manufacturer CoinTerra has filed for chapter 7 bankruptcy protection in the United States Bankruptcy Court, meaning it is very likely that all of the company’s assets will be liquidated in order to repay the estimated between 200 and 999 creditors. 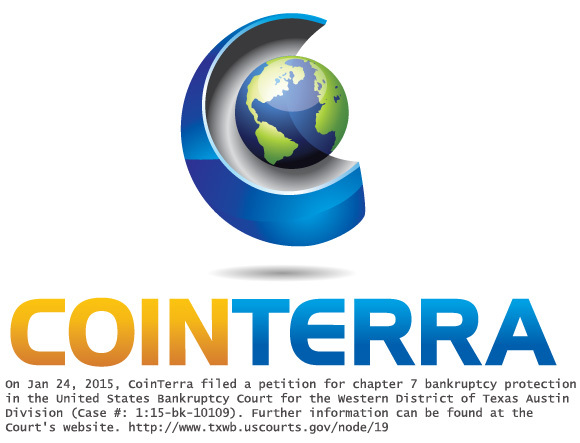 The CoinTerra website is not available anymore and it has been replaced with just a single image confirming the information for their bankruptcy filing. The Cointerra bankruptcy protection form has apparently been filed on January 24th with estimated assets between 10 and 50 million USD and similar estimate on liabilities. The reason for this outcome most likely lies in the too optimistic plans of the company that apparently did not involve a situation where the Bitcoin exchange could get back down to $200 USD. A few months ago the company was still making plans for next generation of ASIC miners based on 16nm process and getting ready for the future. Some month prior to that they have tried to get into the large scale cloud hosting operations, however their plans for that probably did not get that well either. This should come as a warning to other crypto currency focused companies to make their business plans more carefully in order to avoid following the same path as CoinTerra.